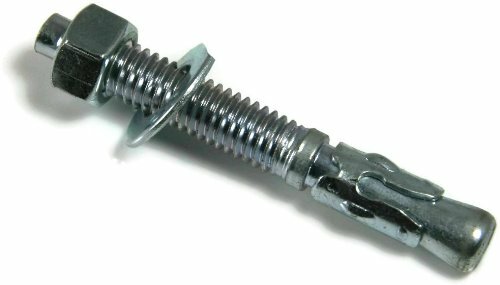 Wedge anchors, concrete anchors, or masonry anchors are designed to be installed into solid concrete. Wedge anchors can be used to fasten objects to concrete. These anchors can be used for some of the following concrete applications: shelving, railing, duct work, signs, electric pipe, light fixtures, escalators, etc. Wedge anchors cannot be used on brick or block.